Drawing from letters of Galileo and his family, and various other documents, this opera retrospectively journeys through Galileo’s life. Opening with him as an old, blind man after the trial and Inquisition for his heresy, it explores his religiosity as well as his break with the church, and expands into the greater, oscillating relationship of science to both religion and art, reaching its end with Galileo -as an infant- watching an opera composed by his father. Galileo Galilei is the 18th opera by Philip Glass. 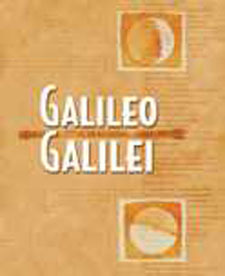 In ten scenes, it is adapted from the life of the Italian scientist Galileo Galilei (1564 – 1642) accused heretic by the Inquisition.